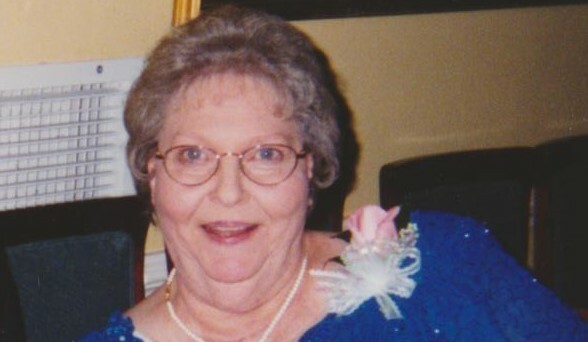 Mary Alice Goodman Sanders, age 82, of Chapel Hill, died Sunday, November 25, 2018 at UNC Hospital. Mary was born in Chatham County on November 26, 1935 to the late Harvey Goodman and Nora Josey Goodman. She was also preceded in death by her husband Clem Sanders, four brothers; Hook, Dave, Frank, Hugh, and one sister Ova Marie Goodman. Mary is survived by four sons; Punk Sanders and wife Cindy of Siler City, Haywood Sanders and wife Deanna of Snow Camp, Jeff Sanders of Chapel Hill, and Raeford Sanders and wife Janice of Apex; three sisters Irma Ellis of Pittsboro, Faye Hart of Mebane, Eva Riddle of Mebane, grandchildren Mark Sanders and wife Erica and children Kinley and Sylvie, Jason Sanders and wife Ashley and son Cohen, Krystal Sanders and Brandon and son Logan, Dusty Sanders and wife Tiffany, Ben Sanders and wife Natasha and children Hunter, Kayley, and Alyssa, Jeremy Sanders and wife Malia and children Lilly, Jackson, and Wyatt, and Chris Sanders and wife Kasey and children Reese and Colton. Shawna Gill and husband Britt and children Noah, Shelbie, Zach, and Eli, Mindy Frailey and husband Jody and children Kylee and Luke, Dusty Sanders and wife Tiffany, Ben Sanders and wife Natasha. The family will receive friends Tuesday, November 27, 2018 from 6PM to 8PM at Donaldson Funeral Home & Cremation Griffin Chapel. The Funeral Service will be Wednesday, November 28, 2018 at 12PM at Solid Rock Baptist Church with Pastor Jerry Sanders and Pastor Charles Dudley presiding. Burial will follow in the Bynum United Methodist Church cemetery. Donaldson Funeral Home & Cremation is honored to serve the Sanders family.